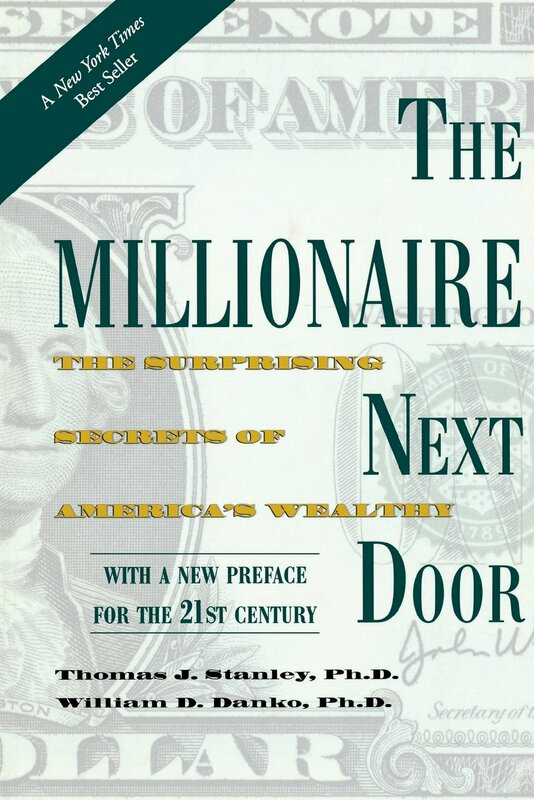 The Millionaire Next Door (by Thomas J. Stanley and William D. Danko) is different. It is built on years of research, on a body of statistics and case studies. It doesn’t make hollow promises. Instead, it profiles people who have already become millionaires. This is a subtle but important difference. Frugal wealthy breaking even (spartan) Spender breaking even (lavish) broke High-income spenders live in a house of a cards. Sure they have the money now to fund their hyperconsumer lifestyle, but what happens when that money goes away? It’s also difficult for low-income frugal folks to acquire wealth. They need to learn to play financial “offense”. But those with low incomes who spend are in the biggest trouble of all. The wealthy, on the other hand, generally have a high income and a frugal mindset. They share other characteristics as well. 80% of America’s millionaires are first-generation rich. This is contrary to those who would have you believe that wealth is usually inherited. They allocate their time, energy, and money efficiently, in ways conducive to building wealth. Millionaires budget. They also plan their investments. They begin earning and investing early in life. The authors note that “there is an inverse relationship between the time spent purchasing luxury items such as cars and clothes and the time spent planning one’s financial future”. In other words, the more time someone spends buying things that look good, the less time they spend on personal finance. Their adult children are economically self-sufficient. This chapter is fascinating. The authors clearly believe that giving money to adult children damages their ability to succeed. They chose the right occupation. “Self-employed people are four times more likely to be millionaires than those who work for others.” There is no magic list of businesses from which wealth is derived — people can be successful with any type of business. In fact, most millionaire business owners make their money in “dull-normal” industries. They build cabinets. They sell shoes. They’re dentists. They own bowling alleys. They make boxes. There’s no magic bullet. This page was last modified on 14 January 2018, at 23:57.